At Quote Texas Insurance, we know for a fact that you are working very hard for your dreams. Whether it's for your future residential home, for your child's college education, or for the expansion of your business, we know that you are doing your best just to see them come to fruition. We are also aware that every industry and every occupation has its own particular needs. Businesses face risks of various kinds, many of which are specific to particular professions. This is why we have developed personalized insurance policies that address the requirements of our diverse clientele. It doesn't matter if you're in the plumbing industry or an electrician or if you're an employee of an HVAC or landscape business, or even a general contractor. We have the necessary expertise to help you come up with policies that will give you peace of mind, knowing that you're covered for the work that you do. Our dedicated teams in Texas afford our clients with comprehensive and cost-effective professional indemnity coverage. These profession-specific policies can help protect you and your business if you are sued in court for claims regarding the work that you do. In addition to professional indemnity coverage, we offer other insurance policies and services that are invaluable for the complete protection of your business, employees, and properties. Please check out our pages on the different professions for more details about the insurance products available. You can also call us today at 844-756-8684 or contact us for a quick quote. Quote Texas Insurance provides remodelers and remodeling contractors in the state of Texas with complete and reliable insurance solutions. Contact Quote Texas if you’re looking for a reliable and trustworthy insurance company to create an insurance plan for your roofing contracting business in Texas. Vehicles that are kept in your auto service station’s garage facility needs protection. Quote Texas Insurance offers tailored garagekeepers legal liability insurance for service shops in Texas. Quote Texas Insurance is a leading provider of collision repair insurance for small and medium sized business in Texas. March 19th, 1018: If you’re interested in purchasing an insurance plan for your manufacturing business, contact Quote Texas today. We can create an insurance plan that's tailored to the needs of your manufacturing company. 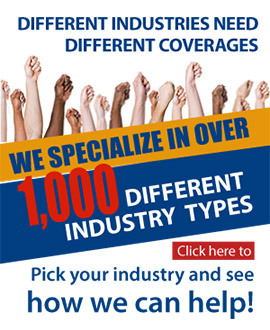 If you are in the wholesale or distributor industry, you need to have all your bases covered with the right kind of insurance. Check this out to find out what policies your industry needs. If you are in the tree service and tree care industry, Quote Texas has the right insurance policies for your needs. If you are running a business that specializes in cleaning swimming pools, you should ensure that your business is covered from these risks with the right insurance policies. Contact Quote Texas if you’re interested in protecting your slab work business with a robust insurance plan. Our company has been providing reliable insurance services to various industries in Texas. Contact Quote Texas if you’re looking for a reliable insurance company in Texas. We’ve been creating comprehensive insurance plans for various industries since 2001 and know which policies suit the needs of your restaurant.